Is this the kind of thing you do? 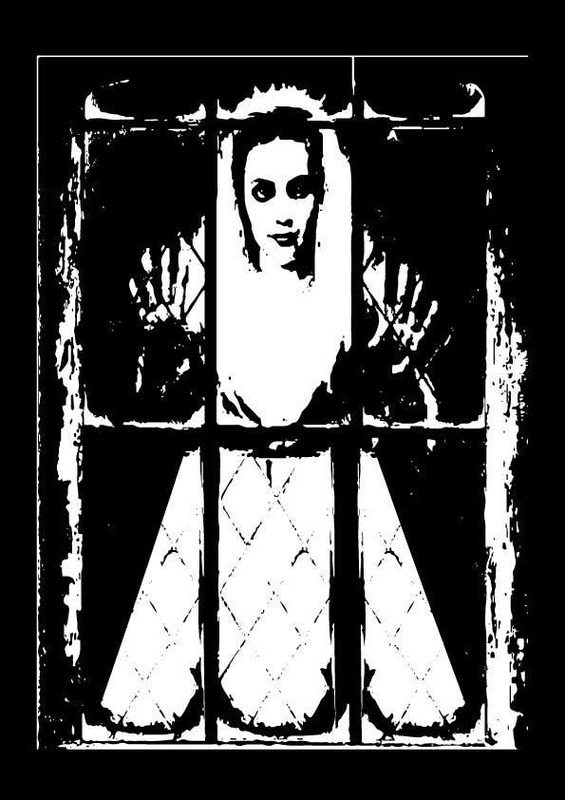 I really love the iconography in Wuthering Heights of Katy being their at the window, looking in. That has influenced so many other writers, from Stoker to Steven King. I would actually want that poster myself. Fortunately I know a guy who's cleaver with his fingers.... Probably needs a bit of tidying up and simplifying out - I think I've probably gone too overboard with the texture. However, no point fiddling unless I know I'm on the right track. I've converted the image into ASCII various ways, so I know it works. As I say, the original artwork will need cleaning up some - but if, in the ball park - let me know and I can refine it out. Lovely project.